When we think of desserts, chocolate and fruit spring to mind – putting the two together can be a sensational combination. Whether made in our professional kitchen or in your kitchen at home, chocolate and berries are a match made in heaven. 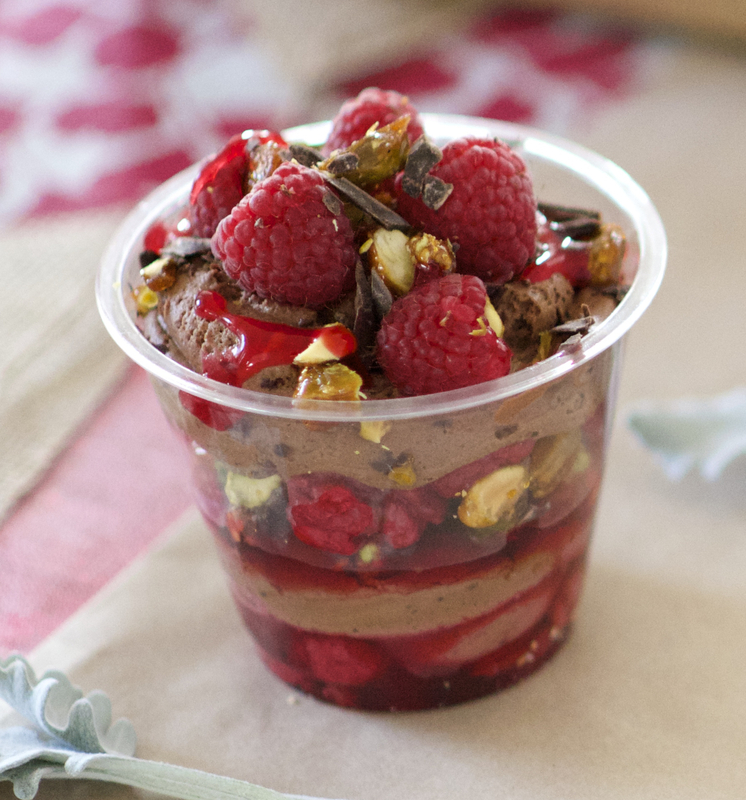 In this simple to make recipe, we match milk chocolate mousse with raspberries. Fresh berries not only give the dessert a refreshing tang they also give an aesthetic appeal and luxe feel. Pistachio praline is added for textural crunch so this dessert will never feel monotonous on your palate, topped off with freshly shaved dark chocolate to bring a little bitter note and quell the sweetness of the praline. Alternatively, let’s give the farmers a little help and replace raspberries with some beautiful fresh strawberries. Remember please try and use good quality chocolate as this will result in a mousse that is not too sweet and won’t leave an artificial flavour that mass produced chocolate can be associated with. This dessert can be both set in bowls for a dinner party or simply scooped into eco cups for something more casual like a spring picnic. 2) Fold cream into above and dont over mix. THE DROPP at your door on Melbourne Cup!